What follows is the final reflection on the book we've been reading for six weeks now (a chapter a week) for a class. The reflection papers are required (and have all gotten high marks from the professor). Overall When Science Meets Religion was an intense read, that, if you did more than just read it without contemplating or challenging the ideas presented, most would probably not enjoy it. Additionally, it would be easy to get completely lost without savoring the words. This is not a book made for speed reading, to be sure. You can get the gist of the book by reading the chapter by chapter reflection papers, though they by no means cover every topic and issue in each chapter, they can serve as a sort of "Cliff's notes" to the book. It will be two weeks before the first of the next series is posted, and the series will consist of three reflections on a book about the philosophy of truth. As always, constructive comments and sound debate are welcome. Here we are, finally at the center of religion…with God, and how he does or does not “act”, with or against, “lawful natural processes” (152) while trying to define his role in humanity and nature. The six objections to God as an omnipresent ruler, in sum, are enough to support objections to the very existence of God wherein, the universe is ever changing and not placed in a fixed order by God, as described in Genesis. This is a modern world in which Biblical tales and any evidence of supernatural intervention of the divine is absent, of which much of the “mystical” and “paranormal” occurrences from 2000 years ago can now be explained using science. There exists a reality where the concepts of predestination by God clearly negate free will, whereby the idea of “genuine alternatives in human choice” (152) become incompatible situations. In the mass of societies where wanton evil and suffering persist, even among the “innocent”, the omnipresent must take responsibility for the evil either through an admission of a clear lack of authority and ability, or through acknowledging responsibility the conscious self-limitation to exercising said authority and ability. Finally, from the perceived patriarchal throne, justification in male dominated societies act out “persecution, crusades, holy wars, and colonial imperialism in God’s name” (153), again, without intervention in these atrocities carried out in his very name. In the conflict of religion and science, of God and nature, Barbour first turns to the naturalistic criticisms of religion in which, according to Atkins, and to a lesser degree, Freud, religious beliefs become a product of “sentimental wishful thinking” and “intellectually dishonest emotion” (154). It is hard to argue against such claims, as faith, being a non-evidence based belief, leaves nothing but wishes and hopes rooted in the absence of anything remotely tangible and verifiable in which rules have been built in to prevent the “faithful” from even the option of questioning without perceived punishment. In attempting to align itself with evidence-based fields, which is founded on asking questions and attaining verifiable answers, as if it is on the same playing field, religion fails. The more religious leaders and practitioners press upon the educated public that they are answering similar questions as science does, the more glaring the holes become and the weaker they become in the eyes of the public as a result. Barbour recounts Wilson’s explanation of the “evolutionary account of religious beliefs”, in which the same “hierarchies of dominance and submission that have contributed to the survival of animal species” (156) are also seen in the social structures of past and present society. I argue that these social structures, demonstrated through the dominance found with civil and political authority, and religious leaders, speaks more to evolutionary naturalism, as opposed to religious naturalism. In religious naturalism, Burhoe asserts that religion, “by set[s] of values transmitted by religious myths and rituals […] has been the major force fostering altruism [selfless regard and devotion towards others] extending beyond genetic kin” (157). 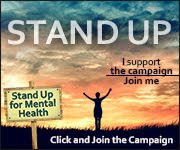 However, “all mammals, including humans, share the same structures and neurochemicals in the limbic system that are important in processing and expressing what they're feeling” says Mark Beckoff, former Professor of Ecology and Evolutionary Biology with a PhD in Animal Behavior and writer for Psychology Today. He argues that “joy, love, empathy, compassion, kindness, and grief can readily be shared by improbable friends including predators and prey”1. As Drees says, religion and “religious traditions are adaptions to local historical environments, and as such they provide no grounds for universal claims about reality” (158). Once again, in the study of natural sciences such as in animal behavior, an image of humanity is formed out of the animal world, and when juxtaposed with the “persecution, crusades, holy wars, and colonial imperialism in God’s name” (153), the failures of religion in “fostering altruism” are illuminated. In this, not religious naturalism, evolutionary naturalism is used to answer very basic questions in natural science that religion thinks it can answer. Evolutionary naturalism, on the other hand, when coupled with aspects of humanism ironically becomes a more perfect religious philosophy. In evolutionary naturalism, nature, as opposed to God, becomes “the object of our worship and obedience” (157), while in humanism, all humans have value, are to be treated with dignity and respect, and humanity is approached with an underlying ethical philosophy based in “reason and science, democracy and human compassion” 2 and a for quest knowledge. In the evolutionary naturalism, nature becomes the self-governing power to which all are dependent. This philosophy aligns with basic scientific understandings of the dependence of everything on well-balanced ecosystems in order to maintain survival; within those ecosystems, through principles of humanism, additional balances are maintained in order to sustain healthy societies. In the “worship and obedience” to nature, the environment is cared for with reverence, and in the valuing and respect of fellow humans beings, social welfare becomes equally paramount. Noticeable in this chapter was the propensity of the potential for sections to overlap. For example, naturalism in the conflict “box” could almost transition into the integration, if only there was a removal of God from religion. In the independence and dialogue “boxes”, concepts of God as an agent of causality, and God as designer, along with the differing limitations, play with the same ideas of deistic intervention. In this way, the God-center of religion is clear and becomes the major barrier in how religion and science can or can’t get along. According to Barbour, neo-orthodox writers such as Karl Barth claim, “God controls. orders, and determines” everything and “nothing can be done except the will of God” for he “predetermines and foreordains” (160). Barbour states that in this “all causality in the world is completely subordinate to God” (161) where the “intentions of an agent [and of God]” cannot be seen or supposed “in a limited span of time” (163), so God’s intentions can never be realized. In this theory of complimentary language, Barbour claims that “language of divine action” becomes “an alternative to scientific language, not as a competitor with it” (163). However, the very nature of a creating alternative gives birth to competition between the practitioners of the two alternatives to become the most accepted alternative. Watts’ supposes that complementary language, the natural versus the theological/spiritual, “describe[s] inherently related things from different points of view”. I would dispute that they are not related things, but they are unrelated things, one in which the point of view stems from the evidence-based, and the other of which the point of view is based in faith, a blind non-evidence based belief, where they are only made relatable by obligation and imagination. Through personal analogies of God in areas such as dialogue and integration, sweeping contradictory ideas of what God and his role is in science and religion becomes problematic. For instance, in religion, when cast as a loving creator seeking an intimate active relationship with his creations, who is then vengeful if you do not love him back in the way he wants, God becomes weak in the eyes of those who understand that pure love is not jealous or vengeful…as taught by the Bible itself. In science, when trying to attach responsibility of causality to the role of the creator, and designing him as distant and inactive in attempt to integrate him into science, the purpose of his creations falls to pieces and acts of worship such as prayer are negated and pointless. It becomes hard to maintain the ideal that mankind was created to seek a close personal relationship with a creator who is actively and intimately involved in order for you to desire to carry out his will, which is how the Bible frames Him, after casting Him as a dispassionate uninvolved. Meanwhile, Ward’s asserts that God’s power and knowledge is subject to “voluntary self-limitation” […] “because God at any time could destroy or modify the world” (168) casting him as an active practitioner in nature and humanity means he is the responsible for all manner of atrocities toward the innocent that persist. Even worse, when trying to fit God into science through the eye of religion as a loving yet passive master who respects your freedom, yet owns your soul, that according to Biblical text [“the soul who sins shall die” (Ezekiel 18:4), for one] punishes you for exercising that freedom contradicts Murphy and Ellis’ claim that God “does not coerce our obedience” (169) and therefore can fit into science. Fiddes then claims that “god has freely chosen and accepted self-limitation for the sake of human freedom. (168) A God who gives you the choice to love him, but if you don’t you face “everlasting punishment”, speaks to nothing but tyranny. These subjective natures of religion, in which lack of congruence and sustainability is revealed, once again showing the distinctions between the congruence of science and ambiguousness of religion that keeps them on separate grounds. Process Theology is just a reinvention of religion, a “Reformulating the classical view of God’s relation to the world” (174). Like with evolutionary naturalism, in pantheism, where god is with world as opposed to theism where god is separate and transcendent, the mind/body connection situates God in the world, making him a part of it, and according to Jantzen, would “lead us to respect nature and would encourage ecological responsibility” (173-174). After several chapters, my mind remains relatively unchanged about the potential for science and Western religion to be much more than conflicting theories that cause argument. On a personal level, after really thinking about the nature of things and the concept of God, I have come to the conclusion even if there was actual proof of a God, I would not “fall to my knees” for him. Additionally, the very nature of God is contradictory, petty, jealous, controlling, insecure, and narcissistic, which if anything, is enough to determine that perhaps we are not created in God’s image, but rather God is created in ours. 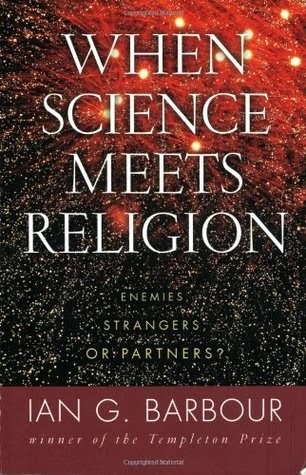 - Ian, Barbour G. When Science Meets Religion: Enemies, Strangers, or Partners. N.p. : HarperCollins, 2000. N. pag. Print. - "Bible Gateway." BibleGateway.com: A Searchable Online Bible in over 100 Versions and 50 Languages. N.p., n.d. Web. 08 Apr. 2014. <http://www.biblegateway.com/>. Bekoff, Marc. "Odd Couples: Compassion Doesn't Know Species Lines." Web log post. Animal Emotions: Do Animals Think and Feel. Psychology Today, 28 Oct. 2012. Web. 08 Apr. 2014. <http://www.psychologytoday.com/blog/animal-emotions/201210/odd-couples-compassion-doesnt-know-species-lines>.